Amongst Slash's guitars, the single cut, solid body seems to be his most prominent guitar for recording. This is where the Slash Alnico II Pro Set pickup comes in, which is designed to give Slash's live-set guitars the exact tone of his legendary recording instrument. This set comes in black. This Slash Alnico II Pro Set pickup, Black, is a warm, moderate output humbucker, and is recommended for jazz, blues, and classic rock. This APH has the usual Alnico 2 magnet of the standard APH-1, but this Slash model in particular is wound with just enough boosted output to push a stock Les Paul toward the sweet sustain and great crunch that gives that characteristic Slash sound. Furthermore, the Alnico II Pro set boasts same appointments as done on the Seymour Duncan pickups in Slash's '86 recording axe. This includes the single-conductor cable, long-legged bottom plate, and wooden spacer. If you want to capture Slash's recorded tone or are just a fan, this pickup works wonders. This same pickup can be found in the newest Gibson® Slash model Les Paul. 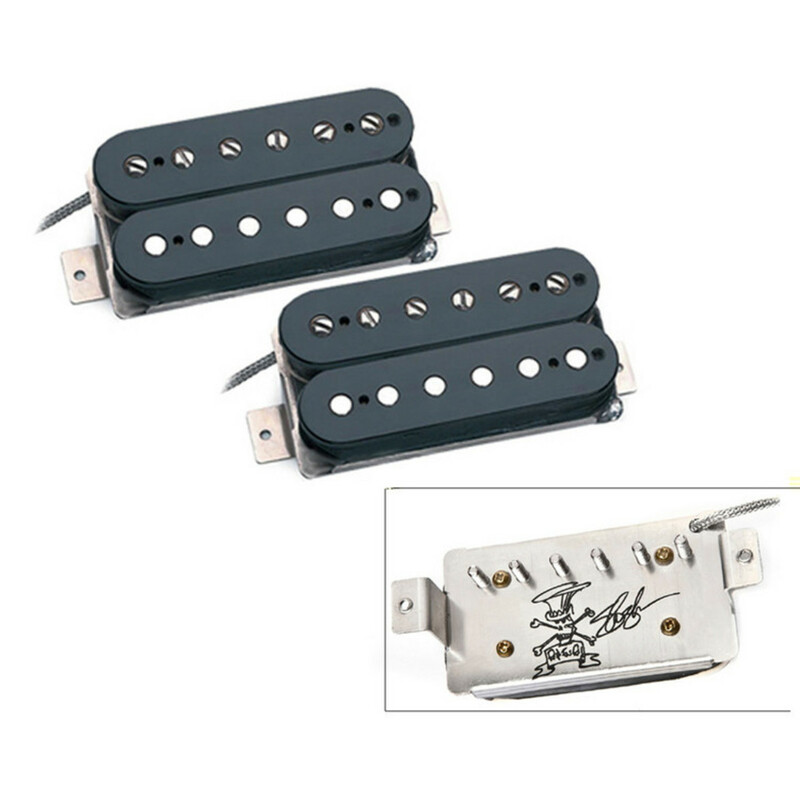 While Slash Alnico II Pro Set is designed for a Les Paul, this pickup works well in any well-balanced humbucker-equipped guitar. It also works well with hollow and semi-hollow body guitars.